leave an email address where i can reach you. just started subscribing to your blog today.. so this is a great motivation to be perhaps get personally rewarded (in tangible terms). Love your pics. Ooh, I so love “at rest” and “sweet peace”…both remind me of the view out my back windows by the farm fields at the edge of town. So pretty! I look forward to seeing your blog every day. Thanks for sharing it with us! Ooh, I want bird school bus! My second favorite is fog, like snow. And congratulations on 8 years. I think we all have that hole, to some extent, I know I do…”i want for not one thing and i want for every single thing all at once.” So well put. Oh, I love a giveaway! You work has really blossomed. I am really in awe! xxoo as always! i was just browsing the world wide web and saw the name of your blog on another site- i wasn’t feeling like my day was very pretty, so i was hoping your blog would show me something different, and it did. thanks for sharing, creating, and inspiring! i’m wondering where the birds in ‘skyscape’ are going? or are they coming? These are all so pretty!! I just found your blog today and love it!! Hmmm, don’t know if I’ve ever commented, although I’ve been a subscriber for awhile. I will cross my fingers!! I would love any of them, particularly wowl, at rest or skyscape. i have always loved your bird photos. so i choose “Sweet Peace”. your work is wonderful–so full of wonder. All of them are really beautiful! wow I just happened upon your blog, it is so cute! the prints are adorable what a generous give away!! ps. I am a tealaholic too :)! these are all beautiful. 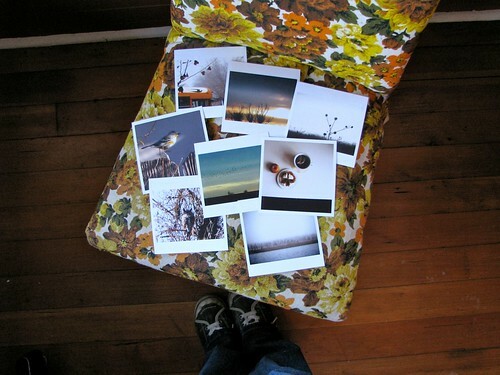 i love checking in on your blog and your beautiful photos. thank you for sharing them with us. i love “fog like snow” “at rest” “skyscape” and “sweet peace”.